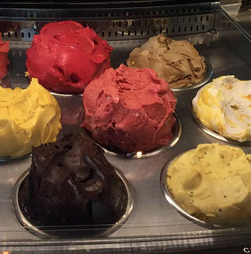 Gelato Messina has been a hype place for Gelato in Sydney for quite some time now. 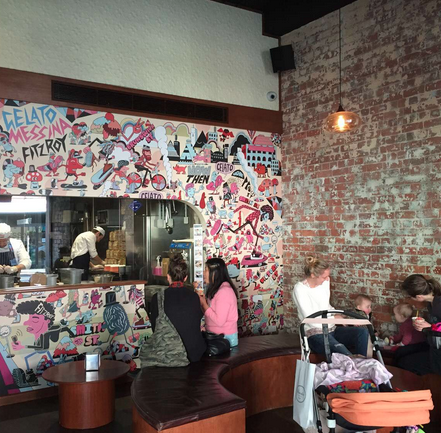 When they first open their first store in Melbourne, people are lining up to taste their amazing gelato. The place was quite big for a gelato shop. They have outdoor and indoor seatings area. The indoor seatings seems cozy, they have sofas and small round table in the middle. 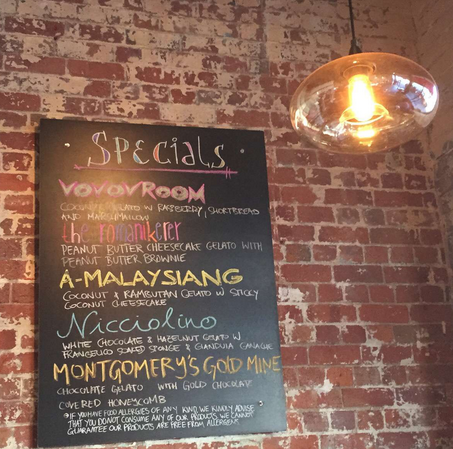 The vibe of the places mixed between warm and hip, trendy - cool place to hang out. Love the funky art on the wall, people can see the staff working too through the glass window. First time I went there I tried their coffee flavour, which was very strong and too bitter for my taste. I keep coming back though, trying different flavours and finally got my favourite. Their Tiramisu gelato are the best tiramisu flavoured gelato I have tasted by far! With real spongy cake in mixture. The feeling of eating ice cream cake rather than just a gelato.